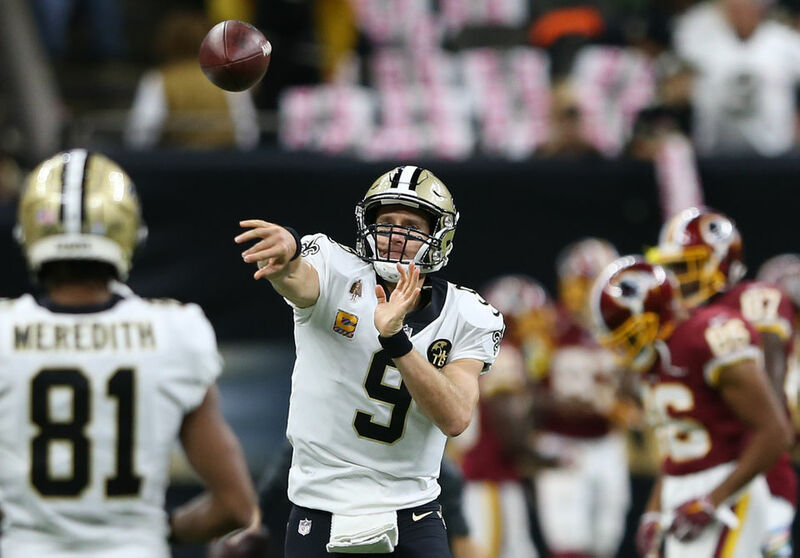 This is the first game of a brutal five-game stretch for the New Orleans Saints, and it should be one of their toughest tests to date. Nobody has been tougher than the Ravens defensively this season. Baltimore leads the NFL in both scoring and total defense. It has gotten after the passer better than anybody in the league this season. And it appears the Ravens have an offense capable of complementing their defense this season. Add to this that the Saints are playing on the road, and it all chalks up to a difficult game, even for a 4-1 Saints team that is rested and coming off its best performance of the season. Here are three matchups that should play a big role in deciding who wins Sunday. This matchup got a whole lot more intriguing this week, when left guard Andrus Peat was ruled out for Sunday’s game with a concussion and Larry Warford was listed as questionable with a back injury. That means the Saints could potentially be without both starting guards. And while their tackle tandem of Terron Armstead and Ryan Ramczyk is one of the best in the NFL when it comes to pass blocking, the Ravens have a way of finding the weaknesses in another team’s protection unit. Baltimore set a franchise record with 11 sacks last week against Tennessee. It enters its game against the Saints with an NFL-high 26 sacks this season, 16 of which have come in the last two weeks. “Well, they have a lot of good pass rushers, so a lot of good matchups for them,” said quarterback Drew Brees (9). “It is obviously something they’ve done well for a very long time. They do it well with their (defensive line), their front four so to speak and then, obviously, from the linebacker position as well. The key to this may be getting Alvin Kamara and Mark Ingram going on the ground, preventing the Ravens defense from being able to tee off on Brees in obvious passing situations. A healthy chunk of the Ravens sacks this season have come on third downs. 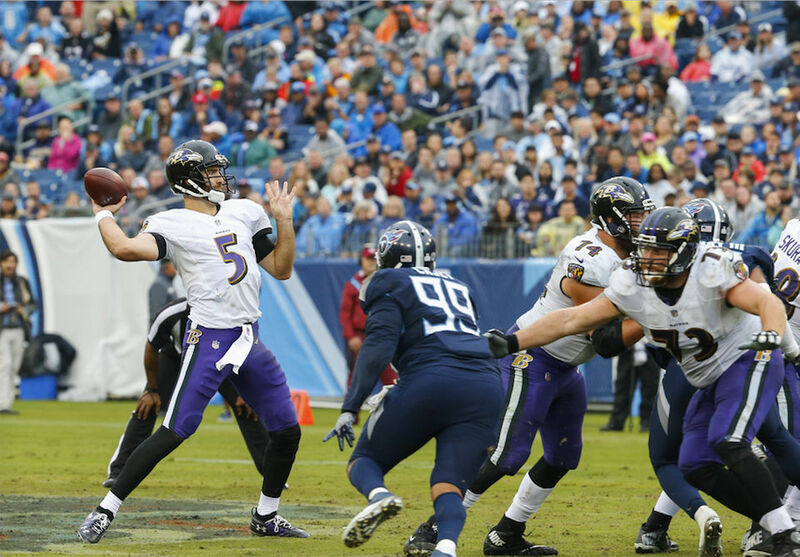 Ravens quarterback Joe Flacco (5) is off to one of the most productive starts of his career. Flacco is averaging a career-best 298 yards per game this season. He shredded the Broncos secondary for 363 yards and a pair of touchdowns in Week 4, and he fired three touchdowns while completing 73.5 percent of his passes against the Bills in the season opener. The Ravens committed to surrounding Flacco with better weapons this offseason, revamping their receiving corps through free agency, and it appears to have hit the desired mark. “I think he’s done a really good job of being able to get some explosive plays down the field as well as when it is not there, he’s done a good job of finding his second and third options in the passing game,” said Saints defensive coordinator Dennis Allen. Saints defensive tackle Tyeler Davison said it looks like Flacco is playing with a chip on his shoulder after the Ravens selected Louisville quarterback Lamar Jackson in the first round this year. The New Orleans secondary appears to have stabilized after a truly rough start to the season, keeping the Giants and Redskins pass offenses in check the last two weeks. Can they keep it going? The Baltimore defense has put up some outstanding numbers this season. It leads the NFL in scoring defense (12.8 points per game) and total defense (270.8 yards per game). It has only allowed opposing wide receivers to catch 67 of the 124 passes sent their way, a 54 percent success rate that also leads the NFL. It has been similarly stingy to opposing running backs. But all that needs to be said with this caveat: The Ravens have not seen a collection of skill position players like the one it will see this week against New Orleans. Sure, they had some success against their division rival Steelers, but that was a team that was playing without running back Le’Veon Bell and had not yet started to click offensively. The Ravens also were gashed for 34 points by the Bengals thanks to big games by A.J. Green, Tyler Boyd and Joe Mixon. The rest of the Ravens schedule? The Bills, Broncos, Browns, and Titans — teams that are not exactly synonymous with high-powered offenses. The most interesting part should be seeing how the ball is distributed now that they have had a few weeks to game plan around the return of running back Mark Ingram and the elevation of rookie receiver Tre’Quan Smith into a larger role. 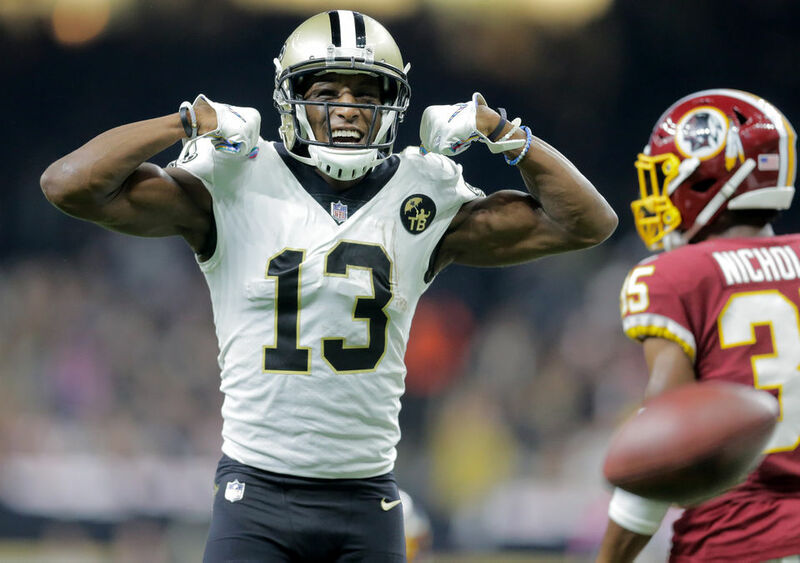 Will the extra time to prepare mean the Saints scheme some things open for Michael Thomas (13)? The Giants and Redskins did their best to lock him up after his blistering start, limiting him to eight catches for 121 yards the last two combined games.